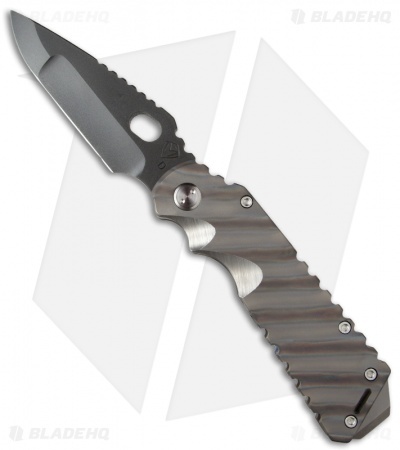 This Arktika has a black oxide coated D2 steel blade and flame anodized titanium handle. 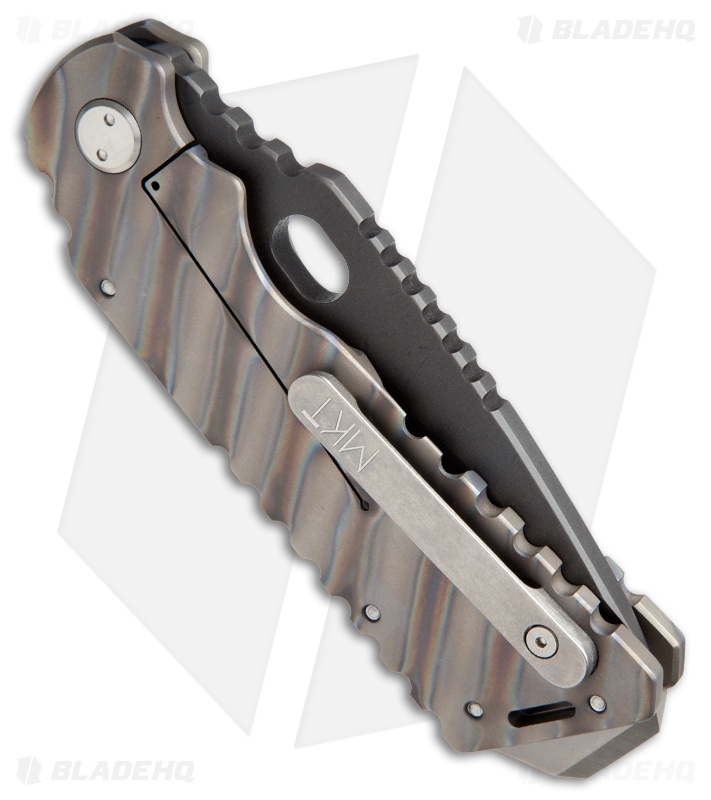 Thumb hole opener and framelock. Tip-up carry pocket clip and thick glass breaker tip. Comes in a waterproof case. The Arktika knife is named after a retired Russian icebreaker, which was the first ship to reach the north pole. The MKT Arktika is a tough knife that lives up to its namesake.